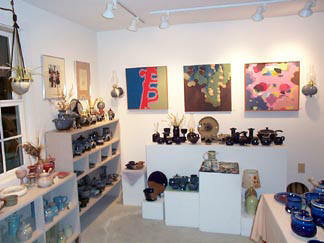 Shanware Pottery & Gallery is housed in a brand new, clean & well lit gallery attached to a 19th Century farm house in the picturesque Baker River Valley of central New Hampshire. 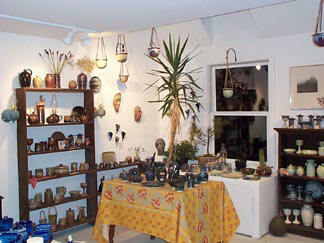 Open year round from 10:00 A.M. to 6:00 P.M.
Sundays Noon to 6:00 P.M.
Shanware pottery is noted for it's wide variety of both light and dark glazes and for it's many interesting techniques. 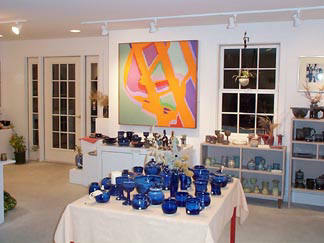 Standard & one of a kind pieces are on display and ready for purchase. 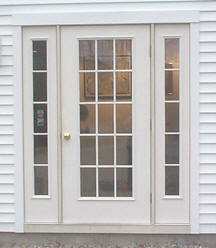 Custom orders are gladly accepted. Many of our standard handcrafted designs can now be ordered on line in our E-Shop. 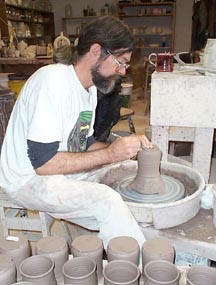 Depending on the day you visit, you may see pottery being thrown, trimmed, glazed or fired. Group tours can be arranged .